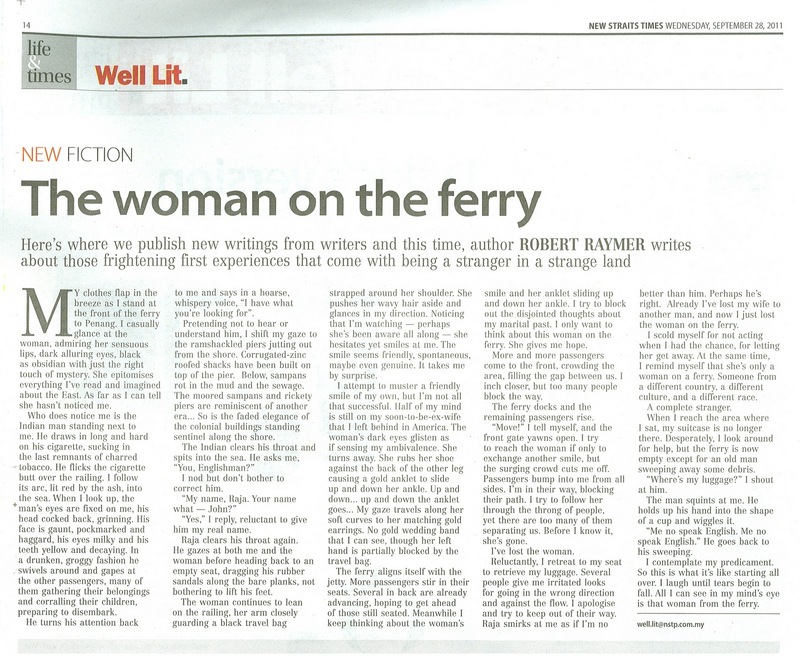 "The Woman on the Ferry" which appeared in today's New Straits Times, is an excerpt from chapter 1 from my Penang-set novel A Perfect Day for an Expat Exit. There are nearly 6 pages that precede this, which I'll post tomorrow, so for those interested, you'll be able to read the story in context. 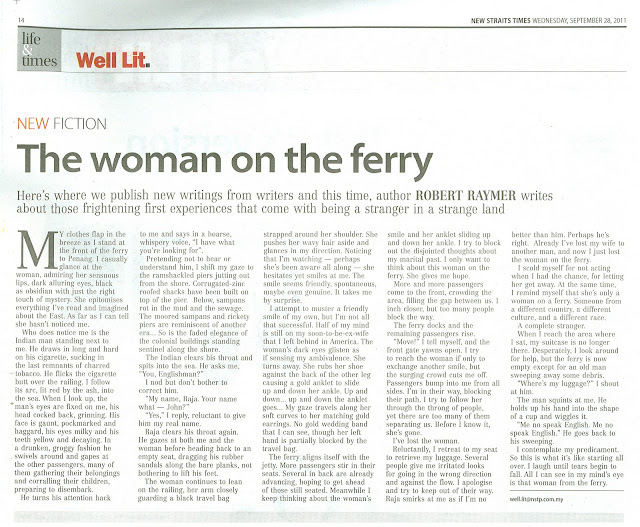 The novel is set in 1988.